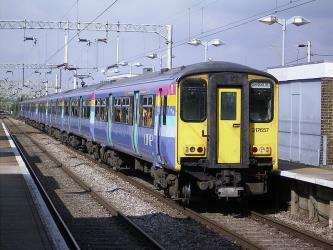 What is the cheapest way to get from Clapham Junction (Station) to Bury St Edmunds? The cheapest way to get from Clapham Junction (Station) to Bury St Edmunds is to drive which costs £14 - £21 and takes 1h 40m. 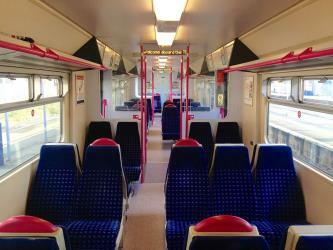 What is the fastest way to get from Clapham Junction (Station) to Bury St Edmunds? The quickest way to get from Clapham Junction (Station) to Bury St Edmunds is to drive which costs £14 - £21 and takes 1h 40m. 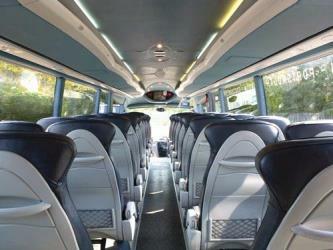 Is there a direct bus between Clapham Junction (Station) and Bury St Edmunds? 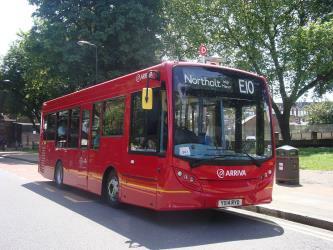 No, there is no direct bus from Clapham Junction (Station) station to Bury St Edmunds station. 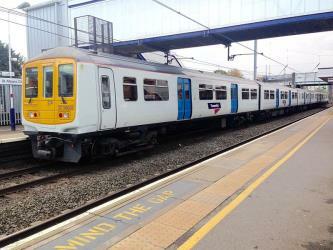 However, there are services departing from Clapham Junction Station and arriving at Bury St Edmunds, Bus Station via London Victoria Coach Station and Mildenhall, Bus Station. The journey, including transfers, takes approximately 4h 47m. How far is it from Clapham Junction (Station) to Bury St Edmunds? The distance between Clapham Junction (Station) and Bury St Edmunds is 66 miles. The road distance is 85.6 miles. 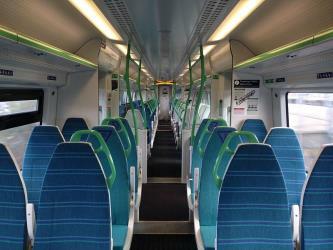 How do I travel from Clapham Junction (Station) to Bury St Edmunds without a car? The best way to get from Clapham Junction (Station) to Bury St Edmunds without a car is to train which takes 2h 37m and costs £30 - £50. 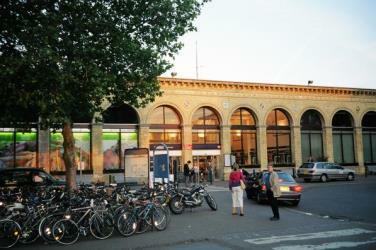 How long does it take to get from Clapham Junction (Station) to Bury St Edmunds? 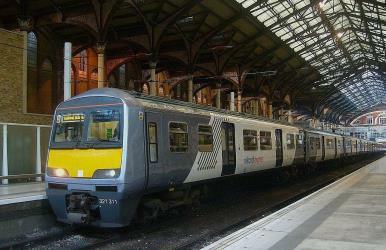 It takes approximately 2h 37m to get from Clapham Junction (Station) to Bury St Edmunds, including transfers. 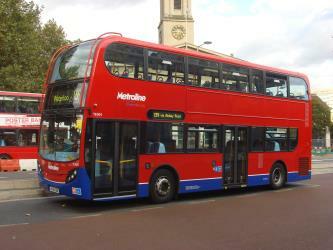 Where do I catch the Clapham Junction (Station) to Bury St Edmunds bus from? Clapham Junction (Station) to Bury St Edmunds bus services, operated by National Express, arrive at London Victoria Coach Station. 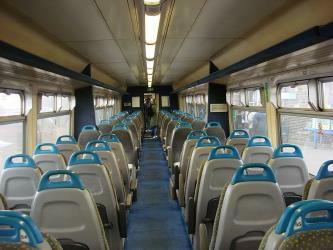 Train or bus from Clapham Junction (Station) to Bury St Edmunds? 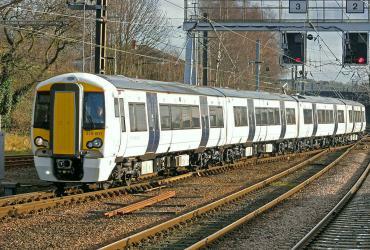 The best way to get from Clapham Junction (Station) to Bury St Edmunds is to train which takes 2h 37m and costs £30 - £50. 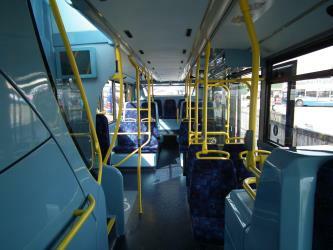 Alternatively, you can bus via Mildenhall, Bus Station, which costs £19 - £24 and takes 4h 47m. 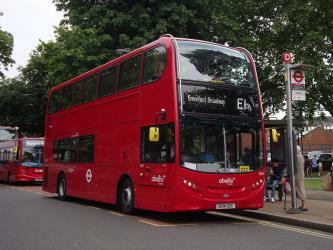 Where does the Clapham Junction (Station) to Bury St Edmunds bus arrive? 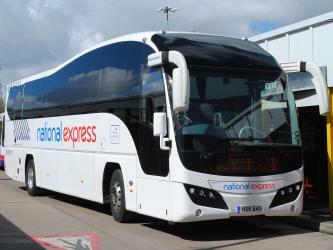 Clapham Junction (Station) to Bury St Edmunds bus services, operated by National Express, arrive at Mildenhall station. Can I drive from Clapham Junction (Station) to Bury St Edmunds? Yes, the driving distance between Clapham Junction (Station) to Bury St Edmunds is 86 miles. 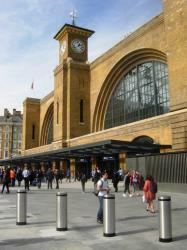 It takes approximately 1h 40m to drive from Clapham Junction (Station) to Bury St Edmunds. 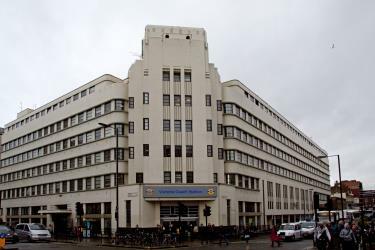 What companies run services between Clapham Junction (Station), England and Bury St Edmunds, England? 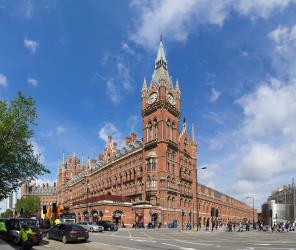 You can take a train from Clapham Junction (Station) to Bury St Edmunds via London Victoria, Victoria station, King's Cross St. Pancras station, London Kings Cross, and Cambridge in around 2h 37m. 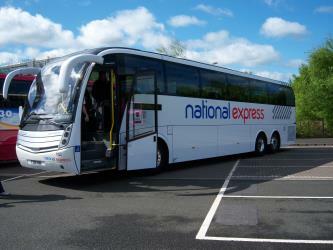 Alternatively, National Express operates a bus from Clapham Junction (Station) to Bury St Edmunds once daily. 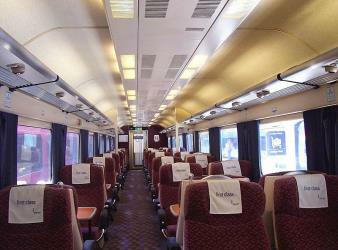 Tickets cost £14 - £18 and the journey takes 2h 10m. Where can I stay near Bury St Edmunds? There are 217+ hotels available in Bury St Edmunds. Prices start at £55 per night. Bury St Edmunds is a market town in Suffolk, England. Bury St Edmunds Abbey is near the town centre. Bury is the seat of the Diocese of St Edmundsbury and Ipswich, with the episcopal see at St Edmundsbury Cathedral. St Edmundsbury Cathedral (formally entitled the Cathedral Church of St James) is the cathedral for the Church of England's Diocese of St Edmundsbury and Ipswich. It is the seat of the Bishop of St Edmundsbury and Ipswich and is in Bury St Edmunds. Originating in the 11th century, it was rebuilt in the 12th and 16th centuries as a parish church and became a cathedral in 1914; it has been considerably enlarged in recent decades. The Abbey of Bury St Edmunds was once among the richest Benedictine monasteries in England, until the Dissolution of the monasteries in 1539. It is in the town that grew up around it, Bury St Edmunds in the county of Suffolk, England. It was a centre of pilgrimage as the burial place of the Anglo-Saxon martyr-king Saint Edmund, killed by the Great Heathen Army of Danes in 869. The ruins of the abbey church and most other buildings are merely rubble cores, but two very large medieval gatehouses survive, as well as two secondary medieval churches built within the abbey complex. Ickworth House is a country house near Bury St Edmunds, Suffolk, England. It is a neoclassical building set in parkland. The house was the residence of the Marquess of Bristol before being sold to the National Trust in 1998. Rome2rio makes travelling from Clapham Junction (Station) to Bury St Edmunds easy. Rome2rio is a door-to-door travel information and booking engine, helping you get to and from any location in the world. 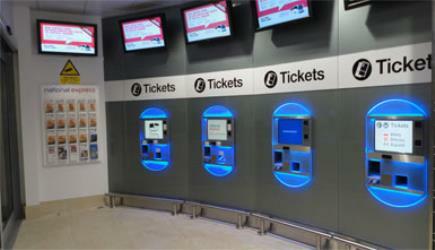 Find all the transport options for your trip from Clapham Junction (Station) to Bury St Edmunds right here. Rome2rio displays up to date schedules, route maps, journey times and estimated fares from relevant transport operators, ensuring you can make an informed decision about which option will suit you best. Rome2rio also offers online bookings for selected operators, making reservations easy and straightforward.